If Informa Telecoms & Media’s new quarterly market status report is to be believed, the number of femtocells in the US now significantly outnumber physical cell phone towers, indicating a huge shift in how traditional mobile networks will operate in the future. 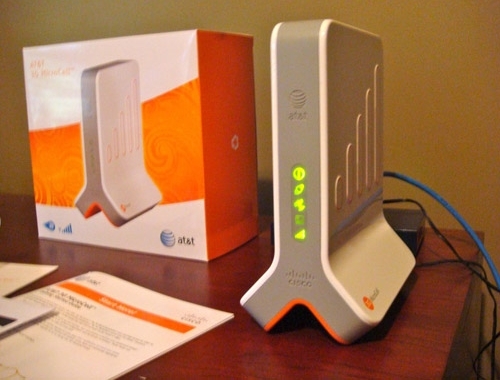 For those who are unaware of what femtocells are, they are small router-like devices that connect to a users home internet connection and act as a mini cell tower within the home or office, allowing mobile users to gain signal in traditional poor-coverage areas. The report estimates that there are 350,000 femtocells in the US, compared to 256,000 macrocells (cell towers) and it is expected that by March 2011, the number of femtocells will outnumber that of macrocells by 2 to 1. Growth is not limited to the US either, in the past quarter alone, worldwide femtocell deployments increased to 17 with 6 further deployments planned. Some of the newest operator deployments include Spain’s Movistar, the UK’s Everything Everywhere (T-Mobile and Orange join venture) and Vodafone Greece, making it Vodafone’s fourth country to deploy femtocell devices. The increase in femtocell deployments can only be good for mobile markets across the world. As networks are buckling with the increase in mobile bandwidth consumption, femtocells are helping to alleviate the strain on mobile networks and appease the customers that have experienced poor mobile coverage in their own homes. As more and more consumers receive these devices, devices that are starting to be given free to customers or offered at substantially reduced rates, other mobile users will benefit from increased data speeds and service stability in hard to cover areas. Informa Telecoms & Media predict that the femtocell market will boom in the next few years, growing to around 50 million access points by 2014, helping 114 million mobile users access mobile networks via the mini-cell sites. Read next: Today is INTERNATIONAL CAPS LOCK DAY, but what is it?